Home > Money Management > Should You Use a Bank or Credit Union for Your Money? When it comes to banking solutions there are many different ways to manage your money. Just as it can be difficult to decide how to manage your money, the task of finding the right financial institution for your money can be just as daunting. Between banks and credit unions, both of which offer different pros and cons, the decision can be challenging. While many people think banks and credit unions are one and the same, the truth is that they are not. First off, a credit union is nonprofit financial cooperative, owned by members who store their money there. They usually offer the same services as a bank, but there can be other pros and cons. On the other hand, a bank is operated as a for-profit business. To help you decide if you should use a bank or credit union for your money, here are the pros and con for each type of institution. As mentioned, a credit union is owned by it’s members. This means that all members are owners and have voting power, unlike a bank which is owned by shareholders who invest in the bank. As a nonprofit, they can offer higher interest rates on accounts and provide lower interest rates on loans. This is good for you as a member because it will help you both save money on interest and earn more money on interest. Credit unions generally charge less fees on services and products. They usually have free checking and no fees on debit cards. Over time this can save you money. Bounced check fees are usually less than what a bank would charge you too. As members are co-owners of the credit union, they strive to make sure you are well taken care of. Credit unions tend to have friendlier customer service and strive to make you feel at home. As credit unions are typically smaller than banks, they do not offer as many services or options as some banks. Therefore you might not be able to get the accounts or services you need from a credit union. Being smaller and often having tighter regulations on who can join a credit union, there are fewer options on where you can “bank” and withdraw money. You may only have one location in your town or surrounding area, and they might just have the one ATM at the physical location. However, credit unions have recognized this disadvantage and many have started partnering with other credit unions to make ATMs more accessible. You can get several different types of savings and checking accounts, not to mention money market mutual funds, and other account types as well. Banks also offer a wide variety of credit cards, loans and financing options as well. Depending if they are a large national bank, or small local bank, banks may be more accessible than a credit union. 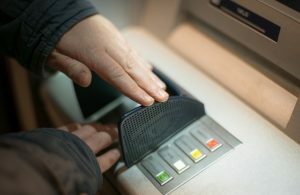 They tend to have more than one ATM and physical location, making it easier for you to deposit or withdraw your money. Banks are for-profit. So, there are usually fees on checking accounts, savings accounts, debit cards and online banking services. These fees can add up over time and cost you a lot of money. There are also strict guidelines or regulations on their accounts. For example a “free” checking account might be free only if you make a certain number of deposits each month, maintain a certain dollar balance, and make a certain number of purchases with your debit card each month. These regulations can be difficult to keep track of. Banks have tighter stipulations on who can be eligible for a loan and what type of loan you can get. This can be challenging if you don’t necessarily fit the picture of a perfect borrower. Bigger banks tend to have more people coming through their doors, and so the staff may not know customers as well on a personal level. However, that’s not to say a smaller, locally owned bank wouldn’t know their customers and be welcoming. When it comes to deciding if you should use a bank or credit union for your money, it all comes down to what your financial goals and needs are. Visit both types of institutions to see which would be better for your money. Do you use a bank or credit union? Why? We actually found ATM access was much easier after switching to a credit union. W/ big bank, we had maybe 3 ATMs in a 5 mi. radius and even iffier when traveling. When switching to a credit union, we suddenly had 30+ ATMs nearby because all the ATMs at the 7-11s, drugstores, Target, and even some of the bank ones were affiliated with the networks many credit unions use. Win-win. Interest rates on accounts are often better, too.